The most valuable gift ever given is offered to you for free. Have you recieved it? It's the gift of eternal life. From God's Word, the Bible, we learn that after death all mankind are destined for one of two places; either heaven or hell. The important thing to remember here is that your destiny for all eternity will be determined by you and you alone, so please continue to read and find out how you can be assured of a heavenly home by recieving the free gift of eternal life. The Bible teaches that because of our sins, we are spiritually separated from God and are in need of a Saviour to restore our relationship with Him. God's punishment for sin is eternal death in hell, but He has provided a plan of salvation for all of us so that we can have eternal life in heaven with Him. Romans 5:12 -"Wherefore, as by one man sin entered into the world, and death by sin; and so death passed upon all men, for that all have sinned:"
Romans 6:23 - "For the wages of sin is death; but the gift of God is eternal life through Jesus Christ, our Lord." The plan of salvation begins with us agreeing with God that we are sinners unacceptable in our present condition to enter heaven and that we deserve to go to hell for our sins. Realizing the consequence of sin should lead us to repentance, that is, a true sorrow for sin that results in a heart desire to turn away from sin. For God's Son left heaven and came to earth in the person of the Lord Jesus Christ to bear the punishment for our sins upon the cross so that we might have eternal life. Ephesians 1:7 - "In whom we have redemption through his blood, the forgiveness of sins, according to the riches of his grace;"
To receive this gift of eternal life, we must with a repentant heart trust Jesus as our Personal Savior. When we do this, God promises to forgive us our sins, save our souls from eternal punishment and reserve for us a home in heaven. Ephesians 2:8,9 - "For by grace are ye saved through faith; and that not of yourselves: it is the gift of God: Not of works, lest any man should boast." Romans 10:10 - "For with the heart man believeth unto righteousness; and with the mouth confession is made unto salvation." Based on the authority of God's Word we can know with absolute assurance where we will spend eternity. John 3:36 - "He that believeth on the Son hath everlasting life; and he that believeth not the Son shall not see life; but the wrath of God abideth on him." I John 5:13 - "These things have I written unto you that believe on the name of the Son of God; that ye may know that ye have eternal life..."
Will you receive this free gift of eternal life today? Many people believe that getting saved is simply a prayer. While it is true that we call out to God to be saved from our sins, it is much more than that. Getting saved is a life changing decision. It is repenting of our sin and turning our life over to the Savior, Jesus Christ. This does not mean that you will never sin again, but it means that your heart's attitude toward sin is different. Where you once reveled in sin, now you realize it is a shame. Take a moment, today, to call out to the Savior in repentance and accept the free gift of salvation. 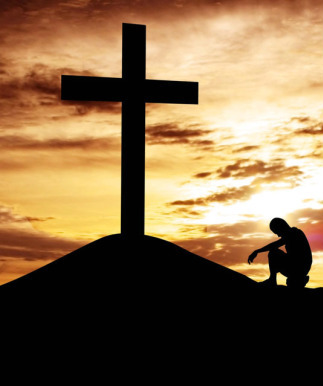 Here is a suggestion for prayer that might help guide you: "Thank you, God, for loving me, a sinner, and for sending your Son to the cross to pay the penalty for my sin. I realize that I am a sinner in need of salvtion. I repent of my sin and turn toward you and the path you would have me go. Right now I put my trust in Jesus Christ for my salvation and receive the eternal life that you offer to me through Him. Thank you for hearing this prayer and forgiving all my sin. A-men." If you have prayed and accepted Christ as you personal Saviour, you should tell others about it. We would love to be one of the first to know.